Lands the Dead Seek to Claim! 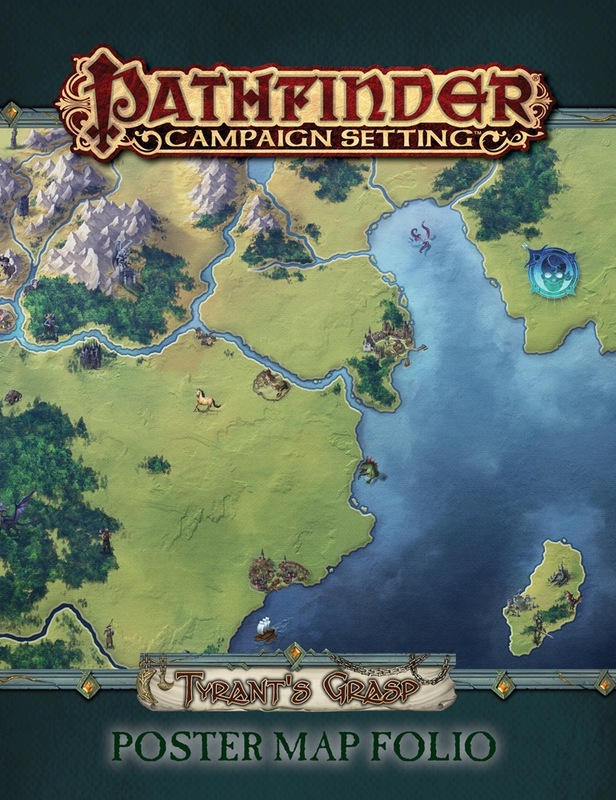 Explore lands of valor and mystery with the Tyrant's Grasp Poster Map Folio. Pore over masterful cartography and plan exciting adventures with these three massive poster maps designed for use with the Tyrant's Grasp Adventure Path but useful for explorations across the world. These huge, lavishly illustrated poster maps depict key locations and nations in the Tyrant's Grasp Adventure Path. The first map details the walled crusader city of Vigil, which has stood against the tyranny of evil for generations. The second map presents the nation of Xopatl, a land of wonders on the distant continent of Arcadia. The third is a beautifully illustrated map of the besieged nation of Lastwall. 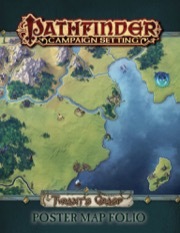 Whether you're looking for a fortified city, lands of intrigue a half a world away, or a nation for crusading knights, these beautiful maps are the perfect resource for the Tyrant's Grasp Adventure Path or any fantasy campaign. Wait, is the map folio coming out at the same time as Volume 4 of an AP? Yes. We managed to get this one out on the production schedule a bit earlier than normal. I really applaud the advanced planing that makes this possible! Also we get Concordance of Rivals in april & this in may, which leaves june & july for one or two other things, like the Druma campaign setting. Personally i would like to see the Campaign Setting line to continue offering stuff functioning both for PF 1.0 & 2.0. For instance a "Brevoy - Kingdom of the North" book with about 40 pages of rules-neutral information & a Bestiary/NPC section either with 2.0 only creatures or ideally with stats for both editions. Do we know where in Arcadia Xopatl is located? Is it on a coastal region or further inland? We did get an arcadian city in Distant Realms, didn't we? "Segada, the fabled City of Keys in isolated Arcadia, whose mountaintop walls keep foreign colonists on the Grinding Coast from expanding into the continent's mysterious interior." is the only place we have detailed information for in Arcadia. Getting a map of an entire nation (& info on it in AP #143) is a first step towards an eventual Campaign Setting and/or AP on/in Arcadia.